There's something so magical about waking up to the sounds of the waves crashing on the beach, to the fresh salt air breezing in through the open window and to the site of the beautiful. There's something so magical about waking up to the sounds of the waves crashing on the beach, to the fresh salt air breezing in through the open window and to the site of the beautiful, crystal clear ocean. Flying Fish Estate is located in the exclusive Sugar Hill community on the West Coast of Barbados. This four bedroom villa offers a luxurious home away from home during your vacation. It's consists of two spaces, the main house and seperate cottage with a bedroom and small kitchenette. Begin your day relaxing in the open plan living space‍, with a fresh coffee or orange juice as you contemplate what the day will bring. The living room, which is air-conditioned, opens on to a spacious terrace through large French doors. Of the four bedrooms in this Villa, two are located upstairs in the main house and both feature a private balcony that looks out over the pool deck. One other bedroom is on the ground floor, and the last room is in the cottage. All bedrooms are bright and spacious and offer air conditioning and en-suite bathrooms. Whether you're wandering around the landscaped gardens or relaxing by the plunge pool, the exterior of this Villa well and truly makes the most of the stunning location. As you're in the Sugar Hill community, there's also access to a fitness centre and tennis court - so those who are committed to their fitness can continue to exercise with state-of-the-art equipment. Enjoy your meals al fresco, or perhaps have your dessert under the stars, on the outdoor dining area that allows guests to enjoy the sea breeze while overlooking the ocean - it's a spot that is perfect at sunsets. Flying Fish Estate is a 4-bedroom villa, with a detached Cottage that has a Queen bedroom. The villa has use of the communal facilities at Sugar Hill like the swimming pool, tennis courts & gym facility. Barbados is a dreamy travel location - renowned beaches, stunning sunsets, a rich history and beautiful architecture. It's no surprise it's a popular travel destination, with year round sun and an average of 3,000 hours of sun a year, what's more it's the kind of heat that's rarely unbearably hot. If you're travelling to Barbados chances are you'll want to explore countless beaches. After all there are many beautiful beaches to enjoy, from Miami and Rockley Beach to Bottom Bay and Mullins Beach - the latter being one of the lost popular spots in Barbados. Many of the beaches offer sun loungers and have beach bars, so you can spend your days relaxing beachfront. There is of course more to the island than picture perfect beaches, you can explore the UNESCO-listed town of Bridgetown or take in the stunning architecture in Speightstown. 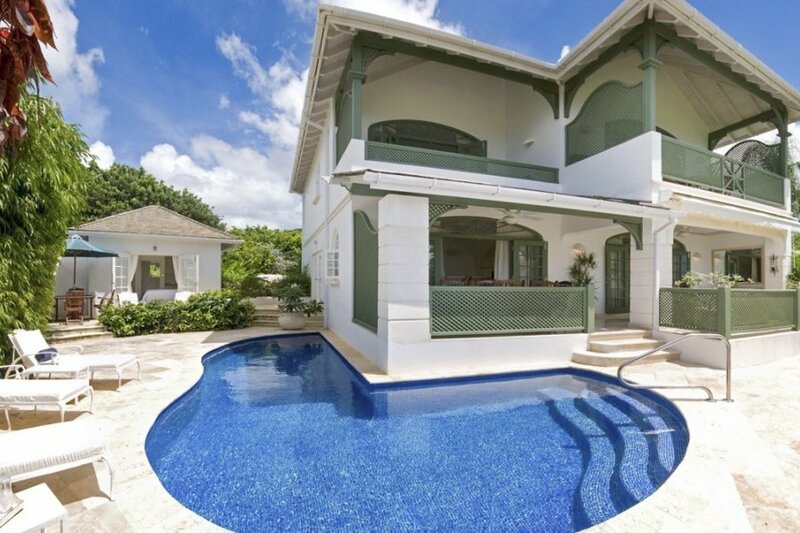 This villa is located inland in the exclusive Sugar Hill community on the west coast of Barbados. The closest town is Holetown, which is under 2 miles away. Speightstown and Bridgetown are also within 9 miles from the villa. There are many restaurants and bars within walking distance of the villa, whether you stay inland or head to the coast. There is also a fruit and vegetable market at Reeds Bay, which is within walking distance.